The use of 10 single use plastic items such as straws, cotton buds, plates, cutlery, and plastic coffee stirrers will be banned in the European Union in 2021. Along with abandoned fishing gear, single use plastic items constitute 70% of all marine litter items. Plastic takes a very long time to decompose which explains why eight million tons of plastic waste end up in the sea each year. In fact, plastic residue, including micro plastics, have been detected in fish and other marine species, consequently entering the human food chain. Following the example of the small island of Sikinos – the first Greek island to ban plastic straws in 2018 – the island of Donousa has also joined the SeaChange Greek Islands initiative. The SeaChange Greek Islands is an environmental program made possible with the help of the A.C.Laskaridis Charitable Foundation and aims to tackle marine pollution in Greece. Under the auspices of the Municipality of Naxos and the Small Cyclades, Donousa will become the first island in the Aegean to completely ban single use plastic products like cups, straws, bags and take-away packaging. The initiative made its debut in Donousa on Friday April 5, with the briefing of the citizens and other informative events. All residents received a starter kit containing a SeaChange Donousa reusable cup while local businesses also received biodegradable bags and straws. 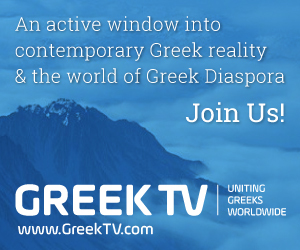 To learn more about the SeaChange Greek Islands initiative, please click here (Greek only).